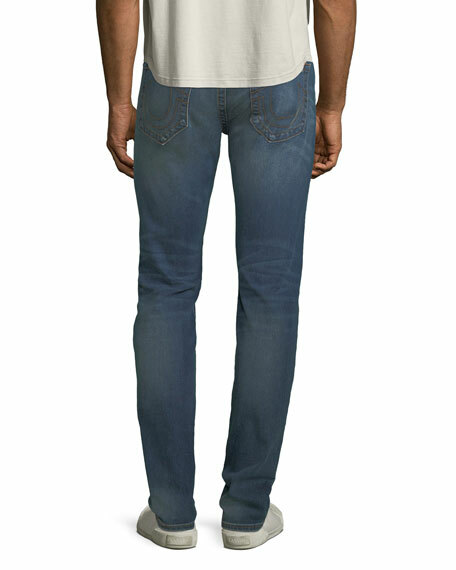 True Religion "Rocco" fit jeans in faded denim with whiskering. 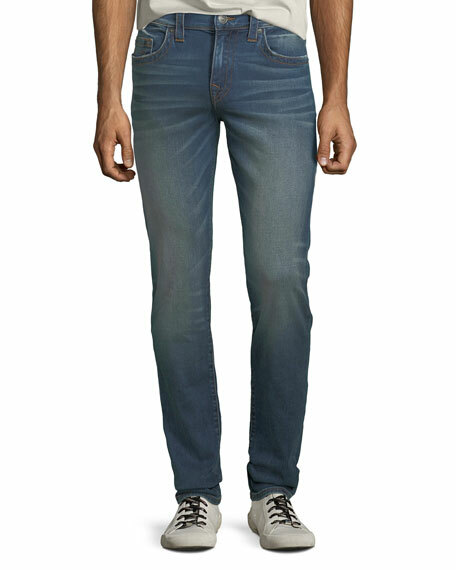 Diesel "Distort" jeans with holes and ripped knees. Crafted with stretch fabric for a comfortable fit. 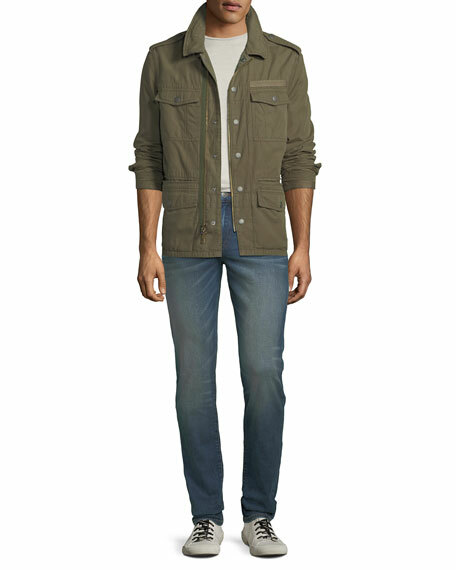 Skinny style with regular waist. Five-pocket style. Button/zip fly; belt loops. Cotton/polyester/spandex. Imported.